This book has blown my mind. 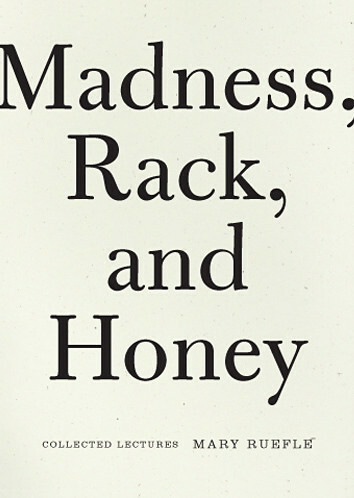 Ruefle was a reader at VERSeFest in… 2013, I think, and I was impressed enough that I decided to buy one of her books. When I hit the book table, what I found instead of a poetry book was a collection of her lectures. I decided to buy it anyway. Am I ever glad that I did. These aren’t really lectures on poetry, per se, but poetry infuses her being and it shows. Some chapters are discussions on a topic, that may ramble a bit, but is always interesting. And then I hit the chapter called My Emily Dickinson. It is about Dickinson, and Emily Bronte, and Anne Frank, and Mary Ruefle. It is poetry within prose and defies explanation. It amazed me. From then on, the rest of the book was just better and better. I actually want to go and read the first half again to see if IT is even better after the revelation of the Dickinson chapter. The Short lectures section was so good that I have rad the first two aloud to two other people… just because I needed to share it.